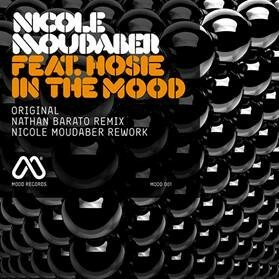 MOOD Records, the brand new label founded by Nicole Moudaber, launches this month with a three-track EP consisting of the original, a Nathan Barato remix and a re-work from Nicole herself. The imprint’s debut track ‘In The Mood’ features the vocals of Hosie and is centred on a tightly programmed funky groove and shimmering chords. Aimed firmly at the dance-floor this percussive house outing should do well with many DJs. On the flip side, Nicole steps up to provide a much deeper rework of her original production. Here she strips back the beat to its bare bones and removes much of Hosie’s original vocal leaving only echoing snippets. The inaugural release is rounded off with a remix by up-and-coming Canadian producer Nathan Barato. Nathan transforms the original by removing many of the groovy elements, instead adding driving hi-hats and a rolling bass which feature heavily throughout the track’s series of peaks and troughs. It’s out February 25.